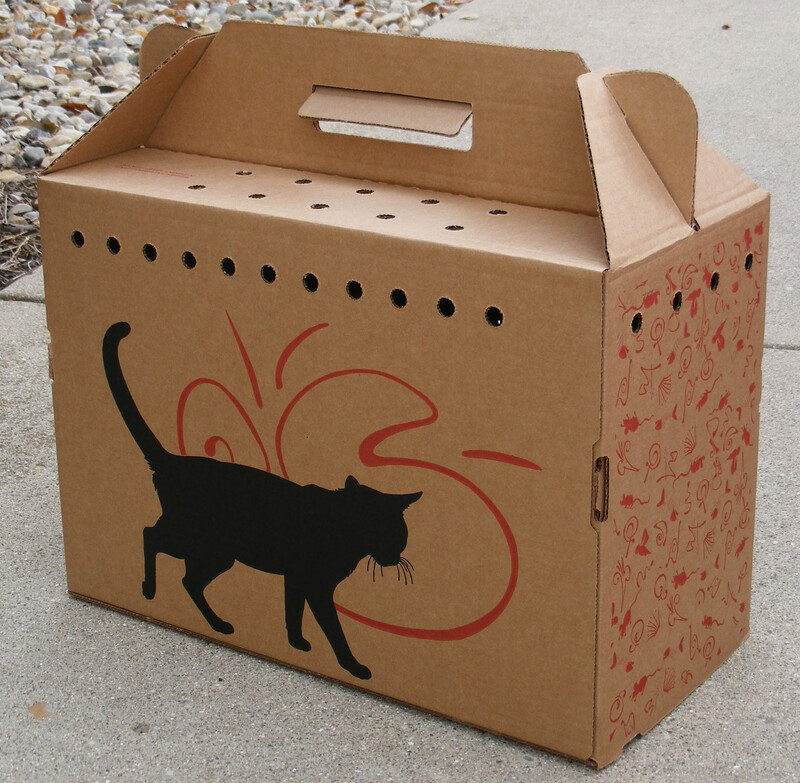 Provide safe transport by offering a cardboard pet carrier. 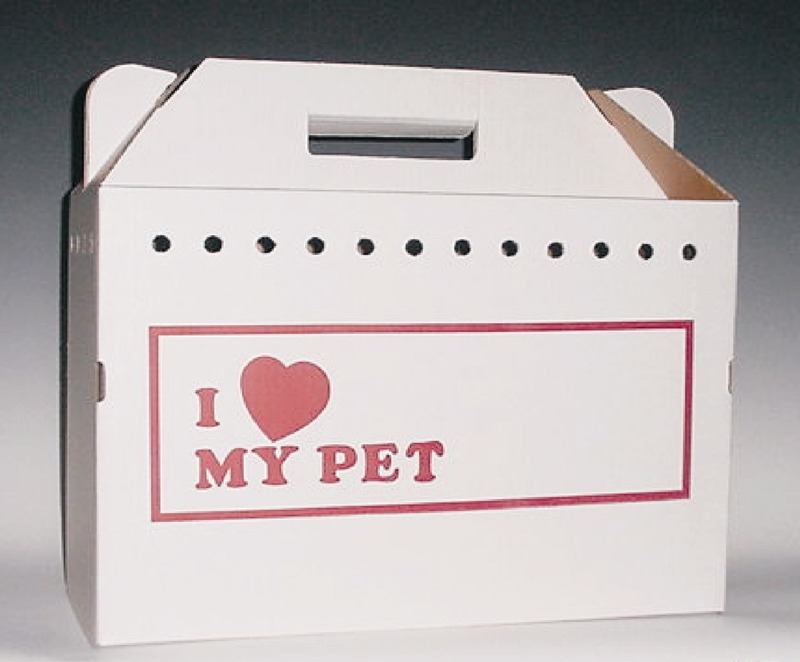 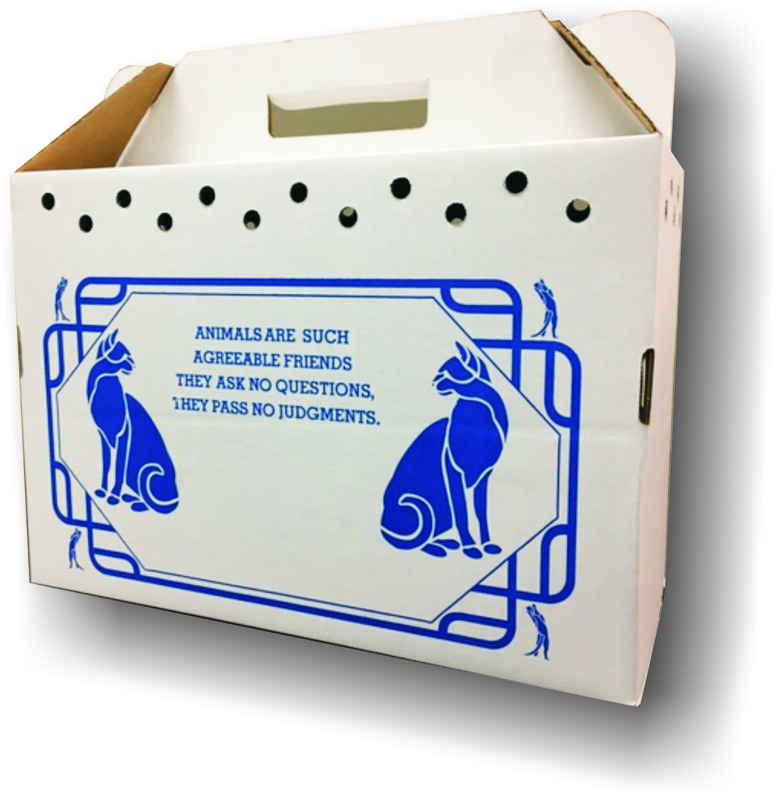 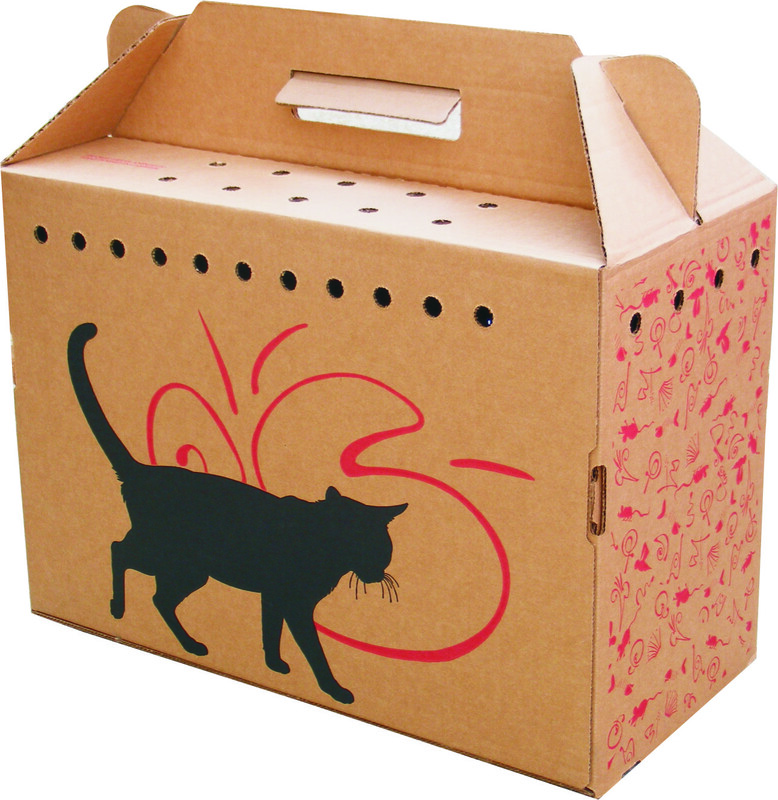 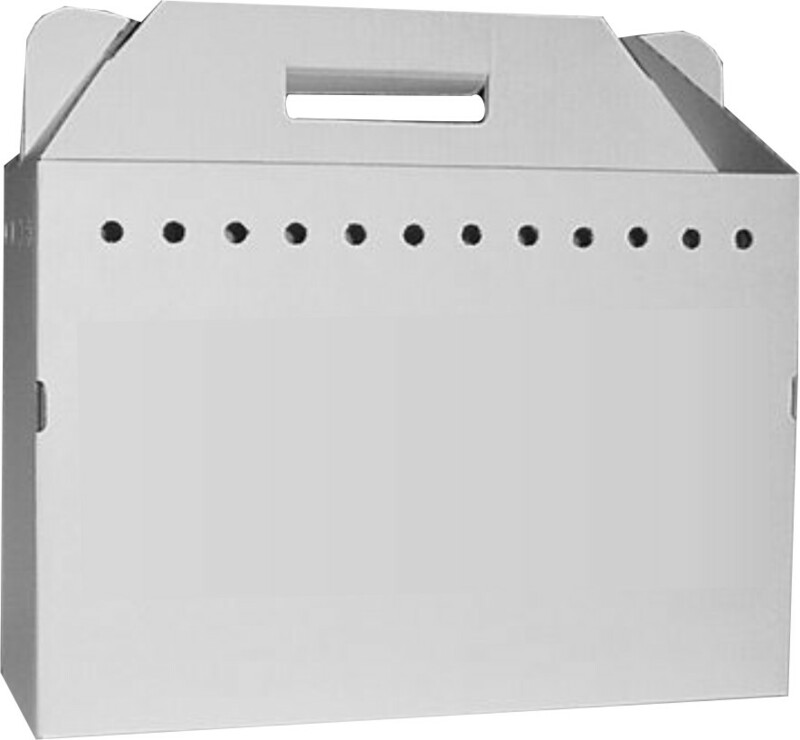 Our stock and custom imprinted carriers are constructed from 200 lb test cardboard; approximately 70% post-consumer recycled product with strongly glued joints and extra ventilation holes sized to keep in paws. 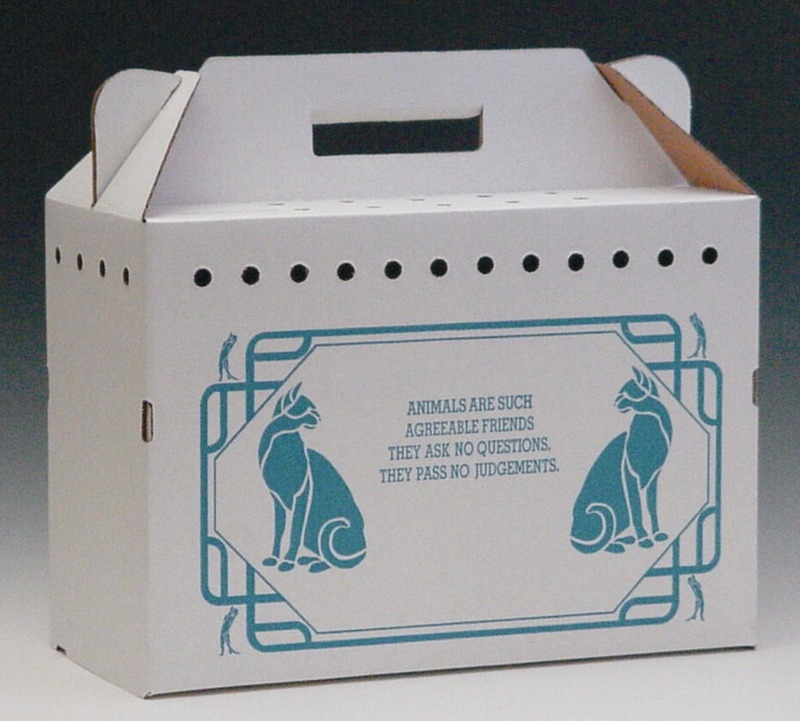 Easy assembly instructions and "Do not leave animal (s) unattended in carrier" are imprinted on each carrier. 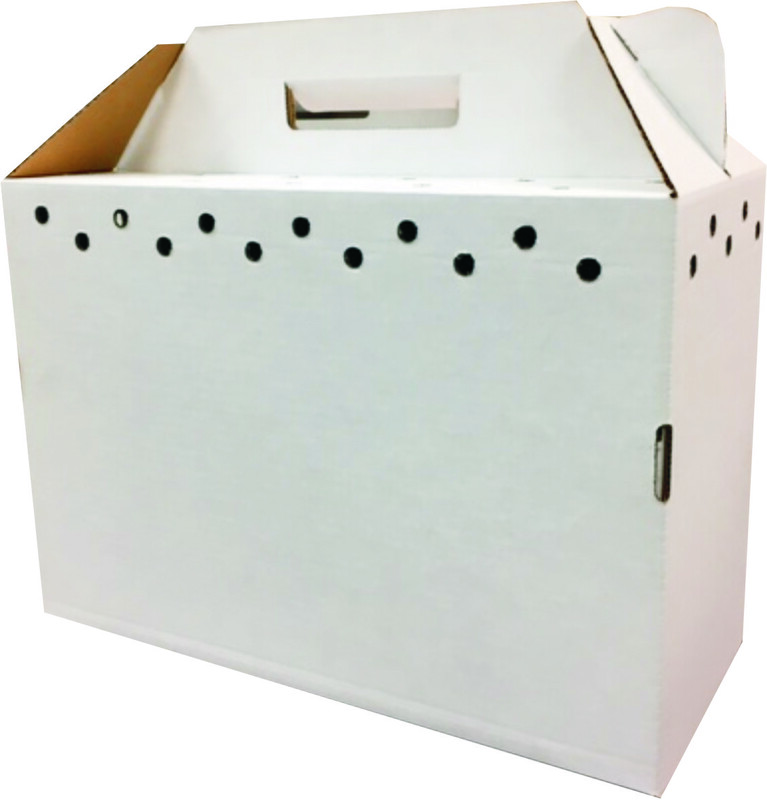 One-Piece construction - bottom folds up much like a file storage box. 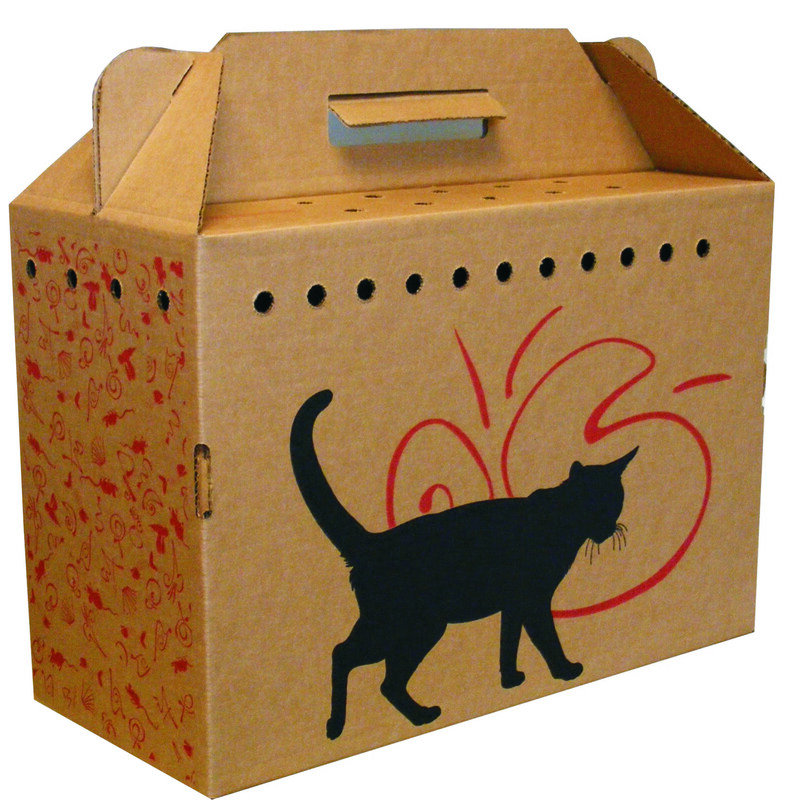 No secondary pad required.